Fulfilling our mission to give every child a world-class education is by no means easy; in fact, it requires the support, encouragement and generosity of those who believe that our scholars can obtain lifelong college and career success. That's where you step in. With each donation, you help bring our school and students to the next level. Every dollar you donate goes directly to supporting our scholars. Whether it is buying the best curriculum or helping to rehab our 100-year-old building, everything we do goes to giving our scholars a safe space to take academic risks and thrive personally. Below are ways your donations will help our scholars! If you would like to purchase specific items that will help day-to-day operations, please see our Amazon Wishlist page. Students gather around a kidney table each day for Guided Reading. Here, groups of scholars in similar reading levels independently apply literacy skills they have learned with the support of their teacher. We are going to add one grade per year until we are a full K-8 school. As we continue to grow, new classrooms will need to be furnished with desks and chairs for our scholars. College and career success require not only academic achievement, but strength of character. Our daily Character and Fitness class combines team sports and physical activity to demonstrate and teach our scholars the BE GREAT core values: Bravery, Endurance, Growth, Responsibility, Enthusiasm, Achievement and Team. At Great Lakes Academy, we believe in embracing technology to bring individualized curriculum for our scholars. Scholars use Chromebooks for online assessments, such as NWEA, as well as accessing personalized online curriculum. Every morning, our scholars gather on the carpet for Read Aloud. During this fundamental time, teachers read to their students and ask thought-provoking questions to help scholars become critical readers. Teachers model literacy skills students should exemplify for their grade level. We want to give our scholars a bright, engaging and safe environment where they can take academic risks. Our building is over 100-years old and will need continuous rehab over the next few years. 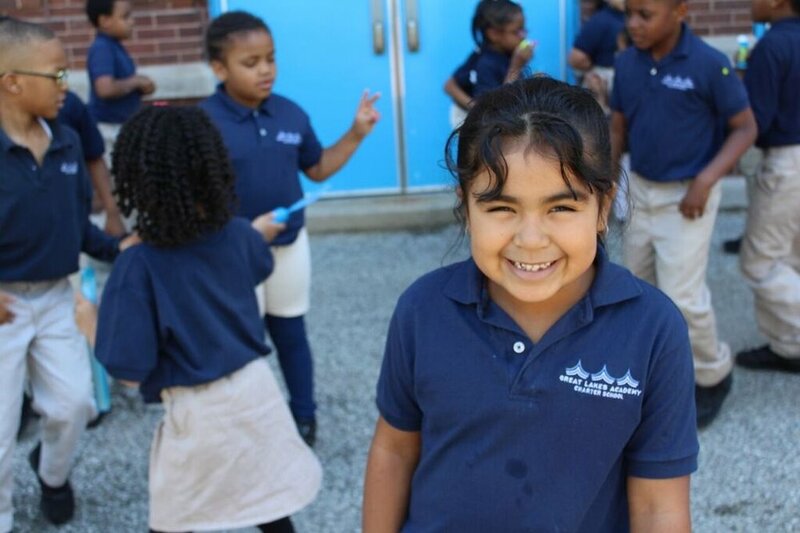 Help give our scholars a beautiful school! We believe that learning should extend outside the classroom - that is why field trips are so essential. It is imperative that scholars get real world experiences that include trips to educational museums and a yearly visit to a local college. ST Math and Lexia are the main online tools we use to supplement class instruction. Lexia is a literacy program that allows scholars to practice their phonics and reading proficiency. ST Math taps into the brains innate spatial-temporal reasoning ability and applies it to math instruction. Honor your alma mater and inspire our scholars to go to college! As a college prep school, scholars know from the minute they come to GLA that they are expected to go to college. Help surround them with positive images and reinforcements! 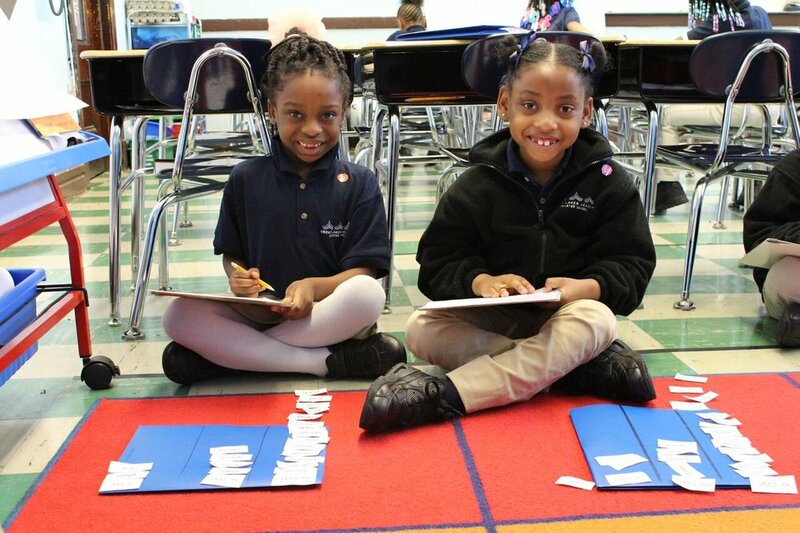 We believe individualized learning helps our scholars reach their full potential. A blended learning curriculum will take the best of traditional instruction while allowing students to control pace and path. Our cafenasium is the central hub of the school. Here, scholars eat, play, and gather for meetings and community celebrations. A new gym floor would give a much needed boost to the warm and bright environment our scholars deserve! We know that creativity is essential to college and career success. Every Friday, our scholars get to express their inner Picasso by doing some art work. Support the arts! Great Lakes Academy is a 501(c)(3) organization. All donations are tax-deductible. We appreciate your support and dedication to our scholars' success.